There are around 7,500 varieties of tomato plants grown for cooking, canning, fresh eating and other uses. There are over 600 types of heirloom tomatoes and the best varieties of tomato plants come from this category. Heirloom tomatoes are considered to have the best taste and come in a variety of colors, shapes, and sizes. Voted the best tasting heirloom tomato in a Los Angeles event called Tomatomania, black plum is a variety that grows tons of mahogany colored, 2- to 3-inch oblong fruit with a sweet and tangy flavor. This variety of tomato is great in sauces and soups and is a tasty addition to a salad or for snacking. Black plum tomatoes hail from Russia, so they grow well in colder climates. This tomato plant grows best when planted within the USDA hardiness zones of 7 to 9. This tomato plant has won numerous contests for best tasting tomato. Dating back to 1885, this Amish heirloom tomato is a vigorous producer of rosy tomatoes weighing up to 1 1/2 pounds each. Brandywines are noted for their rich and creamy taste. Use them in soups, sauces, and salads. Brandywine tomatoes are a great choice to top off a hamburger or sandwich. This tomato variety grows best when planted within the USDA hardiness zones of 4 to 8. This is one of the best varieties of tomato plants. This plant gets its name from its giant foliage and fruit. Goliath tomatoes are large early tomatoes that vigorously produce beautiful red fruit right up until frost. Fruit from this tomato plant generally reaches 1 to 2 pounds in weight, but it is not unusual for this variety of tomato to reach a whopping 3 pounds. Goliath tomatoes are a hardy and disease resistant variety full of sweet, tangy flavor. The USDA hardiness zone for this tomato is undefined, but it produces well in warmer weather climates. This heirloom tomato was voted the No. 4 Best Tasting Heirloom Tomato in the LA Tomatomania event. 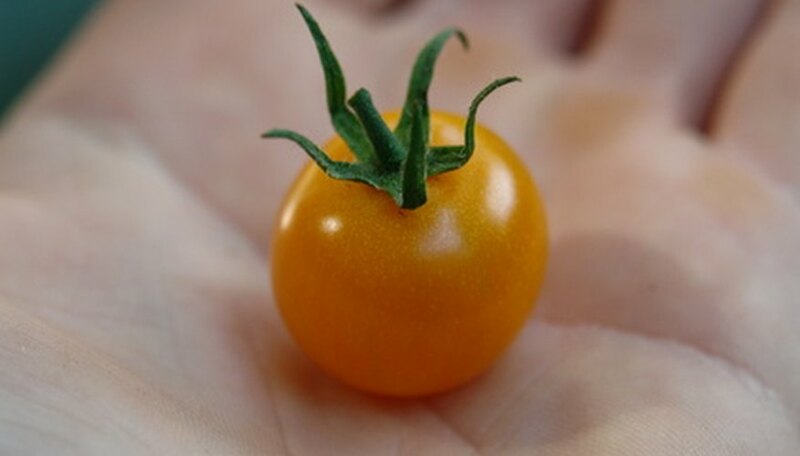 Sungold is a variety of cherry tomato that ripens to a beautiful, golden orange color. The fruit from this plant is sweet tasting with a citric bite. This tomato produces half-ounce fruit quickly and vigorously throughout the warm months, but is a favorite among tomato growers because it can produce fruit in both warm and cold weather conditions. The USDA hardiness zone for this plant is undefined.